In one of Guam’s most enduring legends, Puntan and Fu’una are the brother and sister gods of creation who sacrificed themselves to create the universe. At her brother’s request, Fu&apos;una used her spirit to divide Puntan’s body and use it to create the universe. With his back she made the earth, with his chest she made the sky. One of his eyes became the sun, and the other became the moon. With his eyebrows she made rainbows. Fu’una admired all they had created, and with her power she made the earth bloom. In her final gift to the world, Fu’una threw her body into the earth and transformed into a towering limestone pillar, from which the first humans emerged. Because the stone marked the final resting place of the goddess Fu’una, the ancient Chamorro people believed the stone held mystical healing powers. 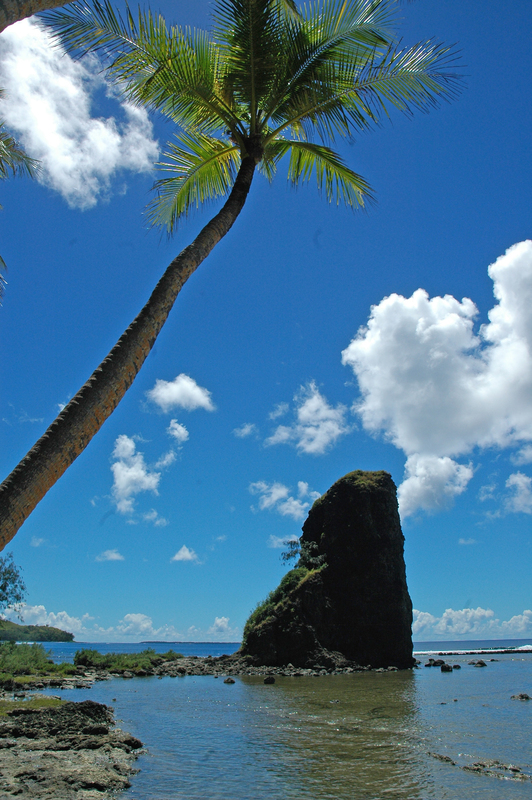 Today, the pillar is known as Fouha Rock (also called Creation Point) and it sits at the point of a secluded bay in the southern village of Umatac. Fouha Rock has been a designated National Natural Landmark with the National Parks Service since 1972. 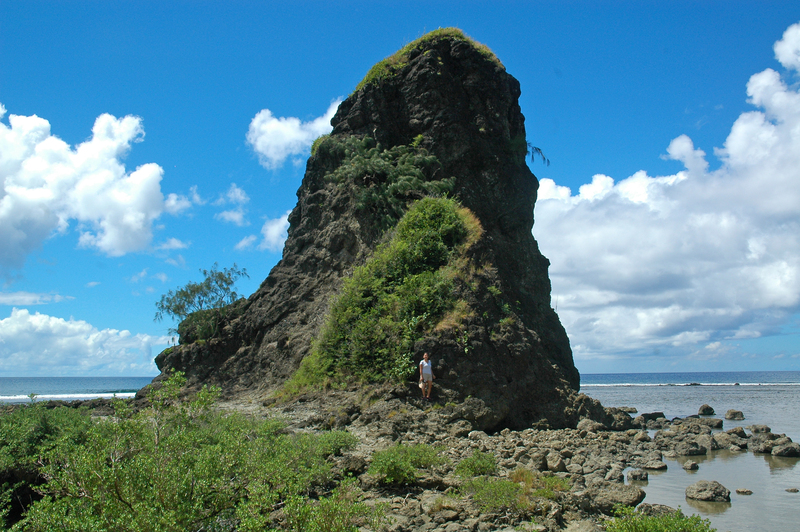 Visiting Fouha Rock is an easy hike along a trail that winds through grassy hills and clusters of coconut and banana trees, down to a picturesque bay that is literally off the beaten path. The trail to Fouha Rock starts at the Guam Power Authority substation WBP-2, which is located on the right-hand side of the road just north of Umatac Bay. The trail is at the left of the substation, and it bends to the right before leading down to the shore. Fouha Rock is visible from the end of the trail and can be reached simply by walking along the shore. Although the hike is easy, be aware of the uphill climb on the way back from Fouha Rock as well as sharp limestone, coral and rocks that are found along the bay. Wear appropriate shoes for hiking, and clothing to protect from the sun. Also bring plenty of drinking water and be sure to let someone know where you’re going and what time you expect to return.